We will build a Best Multi-Tier Link Package. Where you will get 1000+ Google Love from all Unique Domain. This will help you to stay on Top 10 in a few days on most major search engines! This is the Best and Amazing chance to get diversity in your backlinks, opportunity to have many different links and submissions! 100% Panda & Penguin Safe! 2018 updated Service! 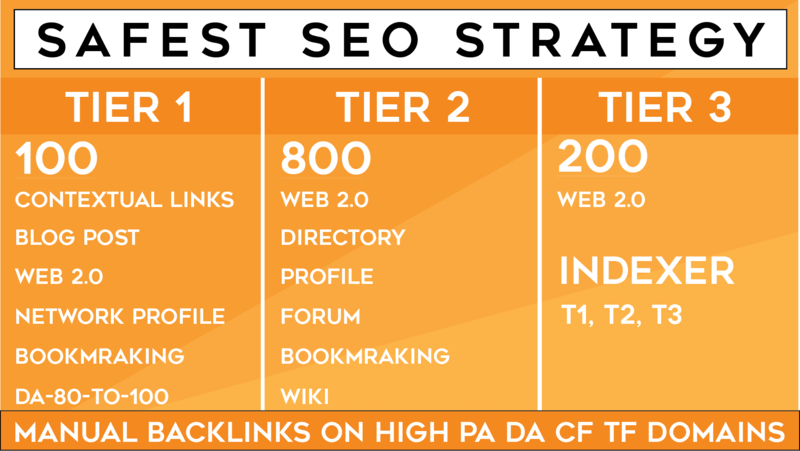 Increase your search engine ranks using these powerful backlinks. Point them to your website or use them as tiered links. We tailor your plan to fit your exact business and market environment so that you get the best results. 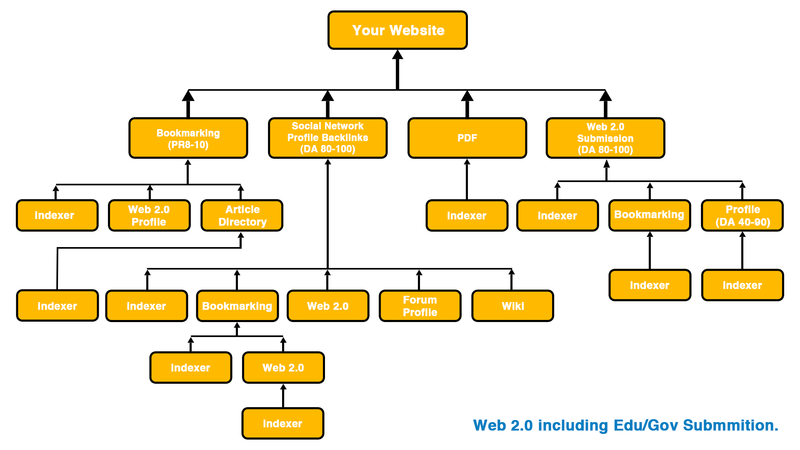 TIER-3: 300 Domain Authority backlinks (include: Web2.0, Profile) and thousands of backlinks indexing. (Tier 1,2,3). - Get excellent SERP increase to your site. - You will receive the full details report. - Very powerful backlinks to be used with your SEO campaign. - Using this service, you can increase the authority of your sites and the page rank. If you have any questions about my Multi-Tier Link Package, please let me know. Multi-Tier Link Pyramid, Thousand of backlinks from all Unique Domain is ranked 5 out of 5. Based on 15 user reviews.